This family-friendly property is located in Baraboo, close to Knuckleheads Bowling and Family Entertainment Center, Outlets at The Dells, and Canyon Creek Riding Stables. Also nearby are Wisconsin Dells Wisconsin Opry and Palace Theater. 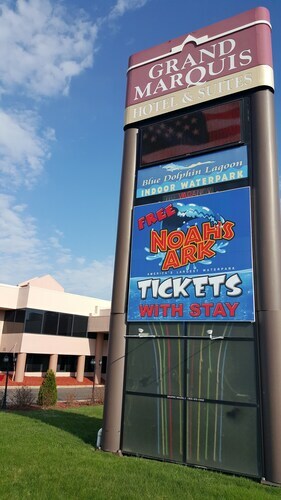 Situated in Wisconsin Dells, this hotel is 0.5 mi (0.7 km) from Canyon Creek Riding Stables and 2.4 mi (3.9 km) from Noah's Ark Waterpark. Knuckleheads Bowling and Family Entertainment Center and Outlets at The Dells are also within 15 minutes. 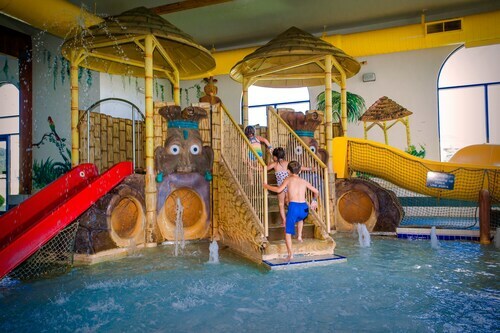 This family-friendly Wisconsin Dells hotel is located in a rural location, within a 15-minute walk of Canyon Creek Riding Stables, Knuckleheads Bowling and Family Entertainment Center, and Outlets at The Dells. Noah's Ark Waterpark is 2.4 mi (3.8 km) away. Situated in Wisconsin Dells, this hotel is 0.2 mi (0.3 km) from Canyon Creek Riding Stables and 2.1 mi (3.4 km) from Noah's Ark Waterpark. Palace Theater and Knuckleheads Bowling and Family Entertainment Center are also within 15 minutes. Situated in Wisconsin Dells, this hotel is within a 15-minute walk of Canyon Creek Riding Stables and Knuckleheads Bowling and Family Entertainment Center. Tommy Bartlett Exploratory and Noah's Ark Waterpark are also within 3 mi (5 km). 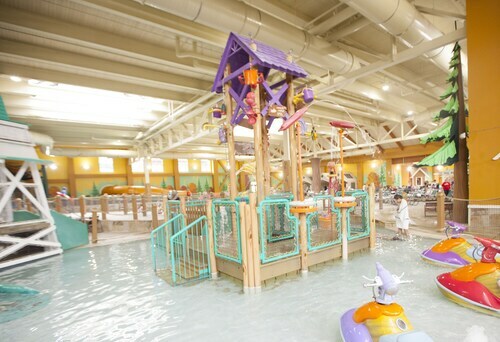 This family-friendly Wisconsin Dells resort is located in a state park, within 1 mi (2 km) of Outlets at The Dells and Palace Theater. Noah's Ark Waterpark and Wizard Quest are also within 9 mi (15 km). 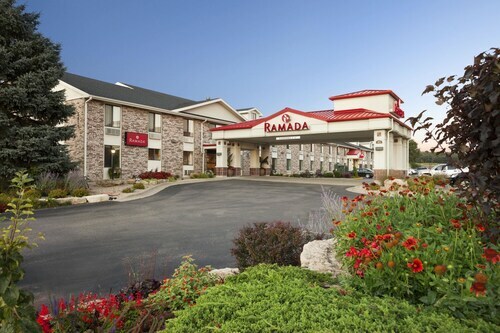 Located in the heart of Baraboo, this motel is 0.2 mi (0.4 km) from Wisconsin Dells Wisconsin Opry and within 3 mi (5 km) of Mirror Lake State Park and International Crane Foundation. Outlets at The Dells and Knuckleheads Bowling and Family Entertainment Center are also within 3 mi (5 km). 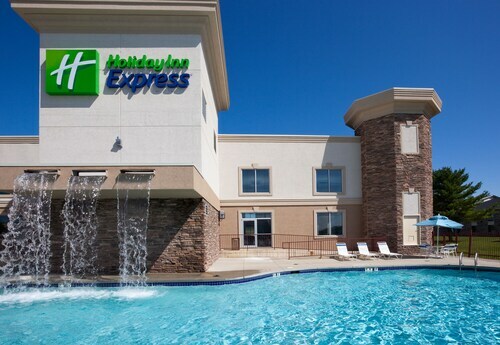 This family-friendly Wisconsin Dells hotel is located in a shopping district, within a 10-minute walk of Canyon Creek Riding Stables, Knuckleheads Bowling and Family Entertainment Center, and Outlets at The Dells. Noah's Ark Waterpark is 2.3 mi (3.7 km) away.